Engler Machine was started in 1980 by Tim Engler, his main line of business at that time was plastic injection molds. Over the years he has diversified very widely leaning more towards "high performance products." He now builds fuel injection systems, custom made pulling chassis, gears, shafts, specialty CNC products, and some custom machining. 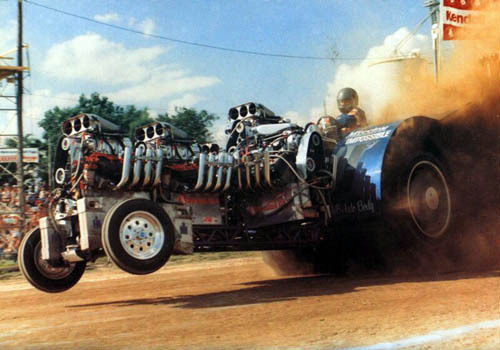 Tim has been involved in tractor pulling and holds 13 national titles in that sport. He no longer pulls himself, but has been influential to the success of many other pullers through his advice and building capabilities. He used to race winged sprint cars when time allowed which was something he truly liked, but now enjoys helping others in the sport succeed.